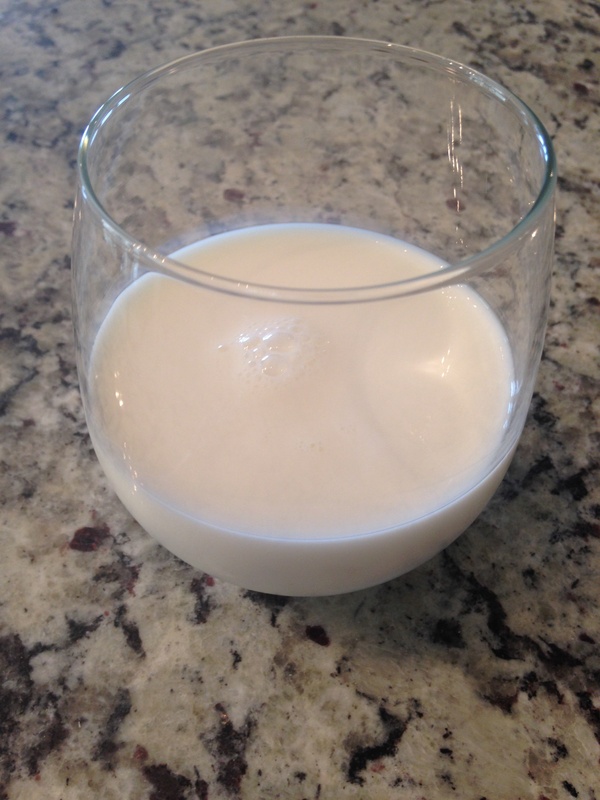 Oat milk is a nutritious, delicious alternative to dairy milk. Oats are known for their healing properties, providing a boost in energy, high protein and fiber. They can help lower cholesterol, boost your immune system, prevent heart disease, control sugar levels, and improve skin health. Plus its super easy and cheap to make! Pour oats and water into a good blender. Let them soak for 20-30 mins. Then blend, until velvety and smooth. Pour oat mixture through a fine sifter or muslin cloth into a jug. It will keep in the fridge for 2-3 days. Want to spice it up? 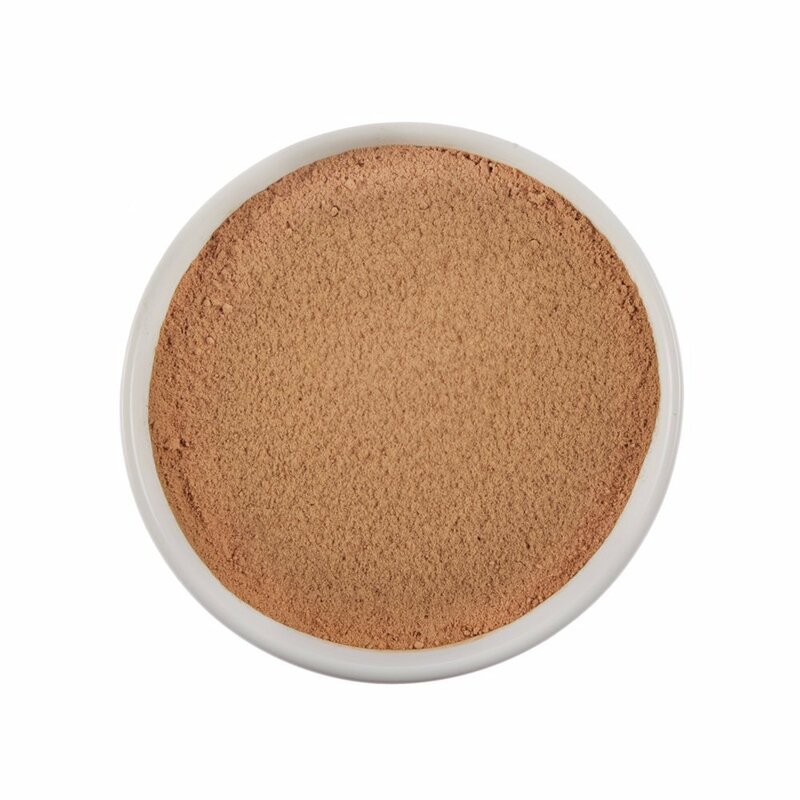 Try vanilla extract, pumpkin pie spice, cinnamon essential oil or cardamom. Prefer it a little sweeter? Add a tablespoon of maple or date syrup. Replace your high carbohydrate noodles with veggies! Nobody needs a big bowl or white flour, oil and sugar. A bowl of pure veggies disguised as noodles? My kids love them and it makes me feel good knowing they are filling up on nourishing, healthy foods. One vegetable peeler or spiralizer. Makes 2-4 servings depending on size. 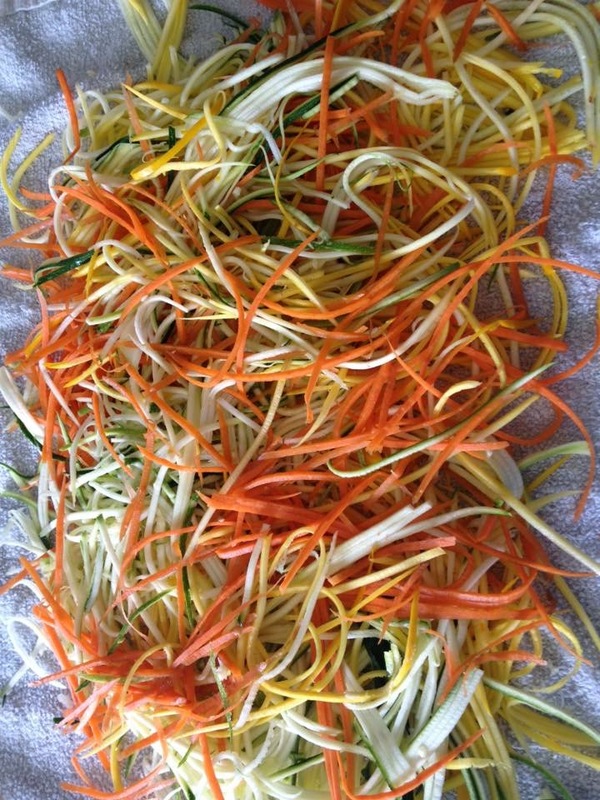 Peel your veggies into long strips then set on paper towels to “dry” for 15 mins. Squeeze out excess liquid (super important step). Heat for 3-5 mins in a hot skillet with a good quality butter or coconut oil. You can serve these with marinara, butter, grated Parmesan, curry or make noodle soup with them! Use them exactly like that unhealthy pasta and the possibilities are endless. Start your day with a heaping bowl of ice cream and detox your body while you eat it! 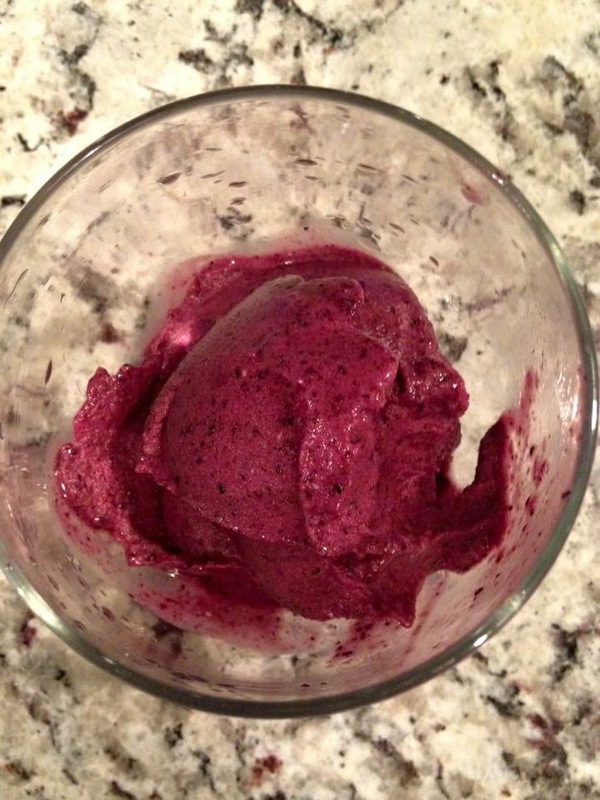 This ice cream is chock full of antioxidants, super fruits, energizing oils, and tons of fiber. It also has zero fat, is super sweet and low in calories. To make this yummy treat just peel and freeze a banana for at least 6 hours. 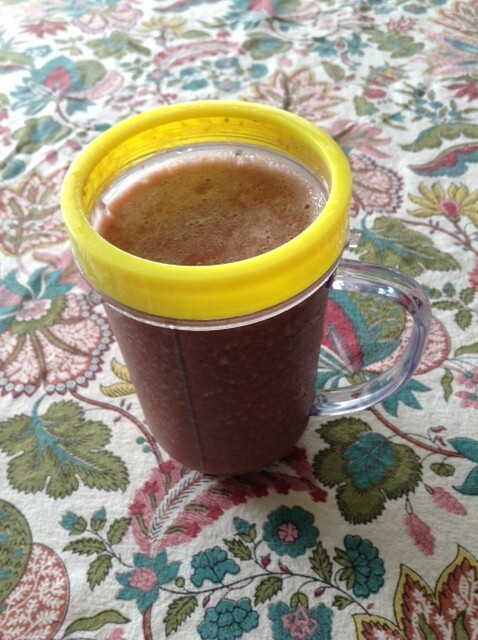 Take your frozen banana, frozen blueberries, 1-2 ounces of Ningxia Red and blend on high for 30 seconds. That’s it! Whole, pure, nourishing food, that taste like a dessert! A whole foods diet can make a huge difference in you life. Especially if you struggle with health issues or weight concerns. What does whole food mean exactly? Its food in its original form, nothing processed or manufactured. Nature at its best! 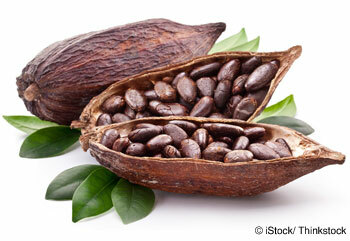 Grains, fruit, vegetables, beans/legumes, nuts in their natural form. It can seem a little overwhelming at first, to change your whole way of eating, but with baby steps and great ideas you can get there and feel amazing again! 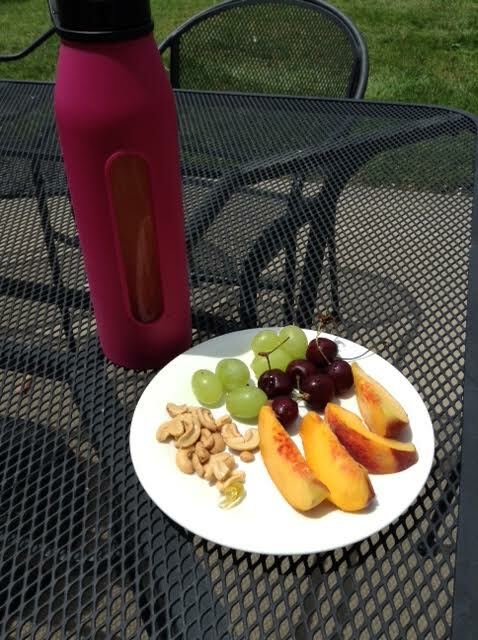 This was my lunch yesterday, Ningxia Red in my water, fruits and nuts, and a capsule of essential oils. I am trying to lean down a little, I can’t really call it baby weight anymore, since my baby is 4 years old!! Anyhow I’m sure some of you know how I feel! It’s hard to lose those last few pounds. So my capsule is for wellness and weight loss. I include lime, orange, peppermint, grapefruit, cinnamon and ginger essential oils. The perfect combo for what I need! Adding oils to your daily routine can really kick-start your health! Need more ideas to get started? Follow along there will be more to come!! 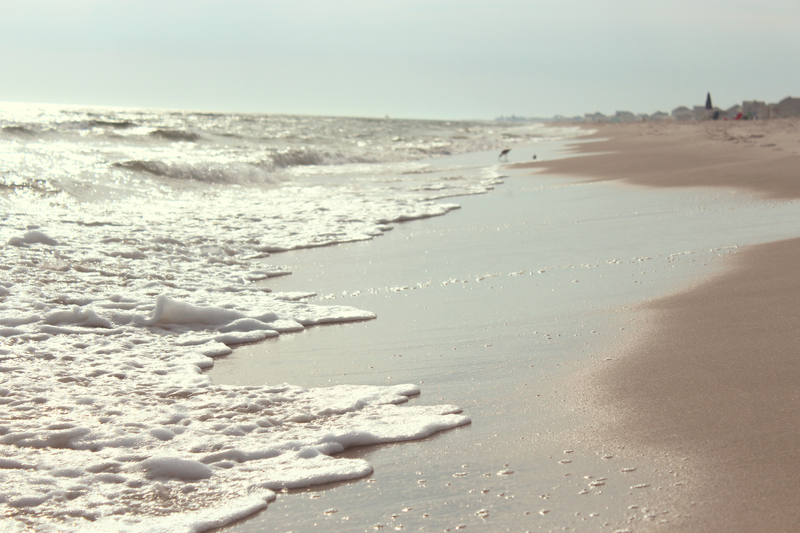 Summer is one of my favorite times of the year! Farmers markets, gardening, swimming, vacations, all kinds of fun in the sun. It’s also the time of year for sun protection. Most over the counter versions of sunscreen are full of toxic chemicals, even the natural versions are sometimes questionable. I like to know exactly what I’m putting on my children. This year I am making my own. My fair-skinned friend has had great luck with it on her and her children. The great thing about these recipes, they aren’t only natural and pure, they are actually good for you! Blend the essential oils with the lotion, then store in a glass jar. Apply 20 mins before heading into the sun. Reapply every 60-90 mins. Melt the Shea and coconut oil together. I use the double boiler method. Then whip the oils together with a hand mixer, you can set the bowl in ice to speed up the process. When the mixture starts to thicken add in the essential oils and continue until thick and creamy. Apply 20 mins before heading into the sun. Reapply every 60-90 mins. I only use the very, best essential oils on my family, Young Living. For more info on those click here. 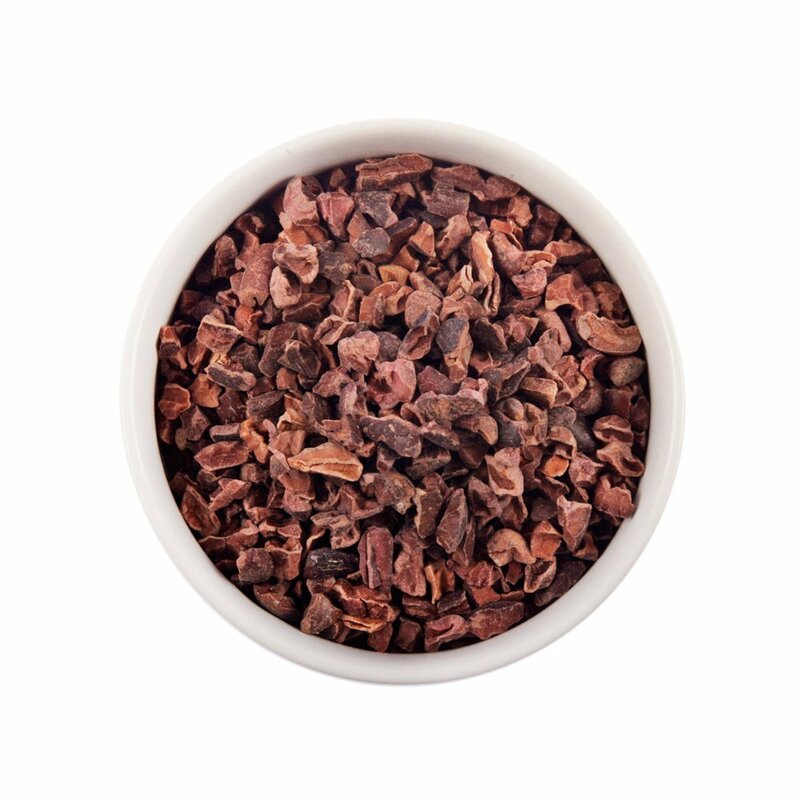 This week I started using Ningxia Red as part of my daily routine. Wow, what a difference! I have so much more energy, require less sleep and have such a balanced mood. It’s a keeper for sure! 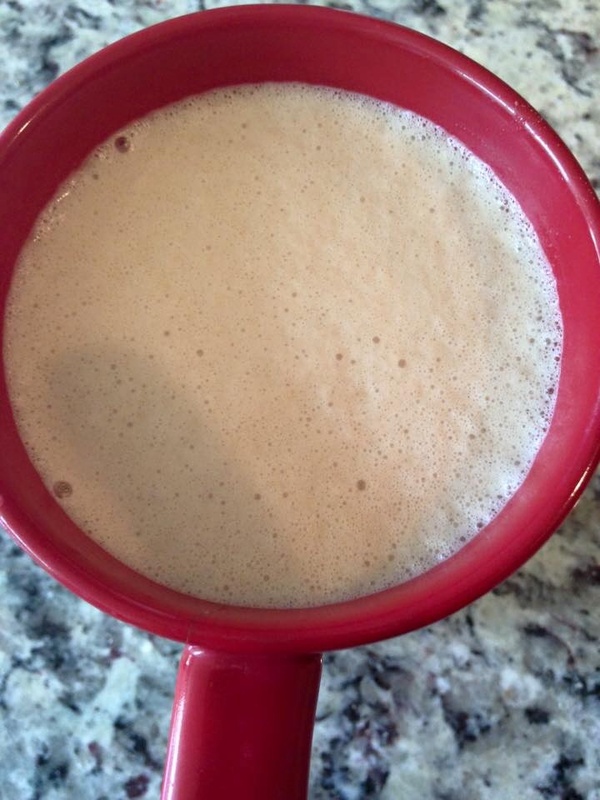 I wanted to share one of my favorite ways to drink it each morning; quick, easy and tasty! Put all the ingredients into a good blender, blend until silky, smooth. Then drink up! 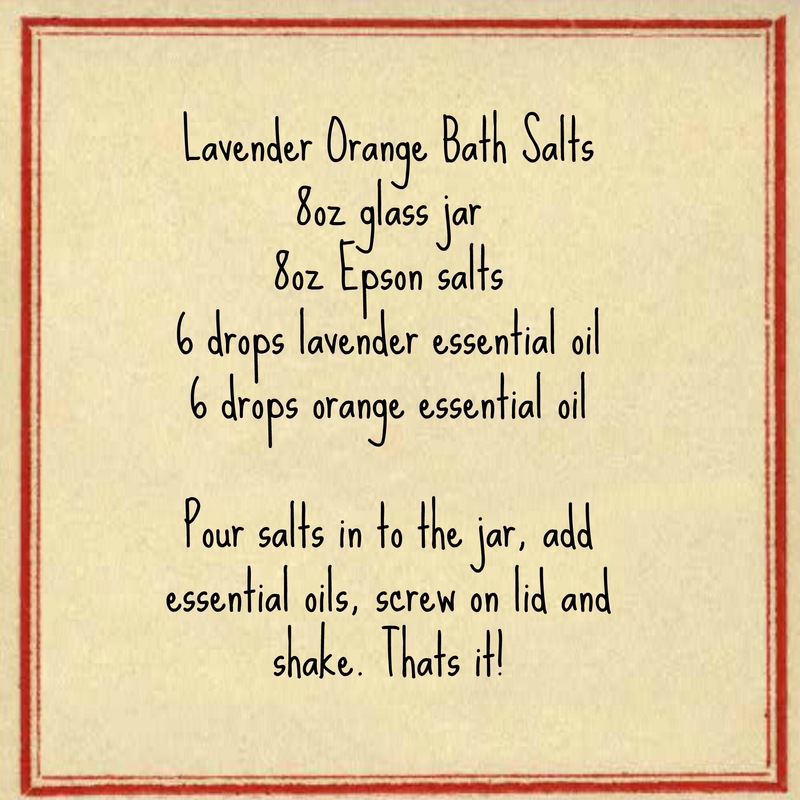 Relax your whole body with some amazing lavender and orange bath salts, one of the most amazing scent combos. Not only will the salts subdue tired muscles, they will help detox your body. Bath bombs make amazing gifts!! 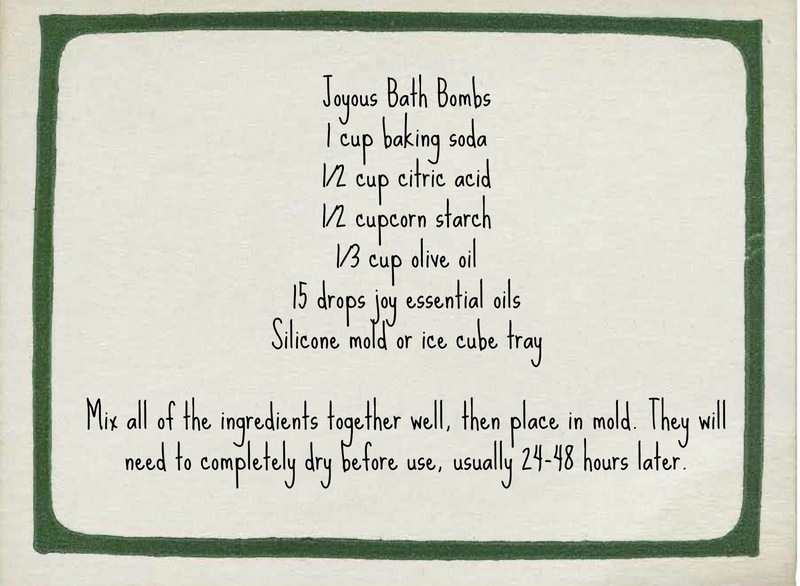 These joyous bath bombs will be a huge hit and leave your own bathroom smelling wonderful.